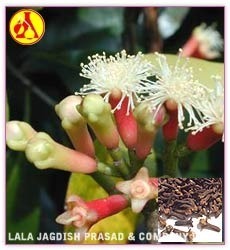 The word Clove is derived from the word clou which means nail. It is aromatic flower of the flower buds of a tree in the family Myrtaceae. It is used as spice in cuisine all over the world. 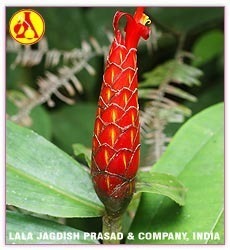 It originates from India. Clove tree is a evergreen tree whose height ranges from 10-20 m. Apart from being used in cuisine, clove is also used in other industries for its medicinal use and therapeutic value. Also known as Chinese parsley, Coriander seed oil is extracted from from Coriandrum Ativum of the Apiaceae family. The clear essential oil has a warm, sweet spicy aroma and is said to be a revitalising stimulant, which warms the body and mind. Corinder seed oil is known to have various theraupatic properties and are used for treatment of diarrhea, colic, cystitis, urticaria, rash, burns, sore throat, vomiting, indigestion, allergies and hay fever.Also known as Chinese parsley, Coriander seed oil is extracted from from Coriandrum Ativum of the Apiaceae family. The clear essential oil has a warm, sweet spicy aroma and is said to be a revitalising stimulant, which warms the body and mind. Corinder seed oil is known to have various theraupatic properties and are used for treatment of diarrhea, colic, cystitis, urticaria, rash, burns, sore throat, vomiting, indigestion, allergies and hay fever. Aroma: Fresh, sweet and Spicy top notes combined with an undertone of musk and wood. Applications: Soaps, Toiletries, Perfumes, Sedatives and more. Blending: Frankincense, Sandalwood, Clary Sage, Jasmine, Neroli, Petitgrain, Cypress, Pine and Melissa. Costus Root Oil is one of rare essential oils that is extracted using steam distilled from the comminuted, dried roots of Saussurea lappa. The oil is viscous, light yellow to brown liquid with extremely tenacious odor. The oil is extremely useful as it has antiseptic, antispasmodic, antiviral, bactericidal, carminative, digestive properties and is also used in cosmetics and perfumes.Costus Root Oil is one of rare essential oils that is extracted using steam distilled from the comminuted, dried roots of Saussurea lappa. The oil is viscous, light yellow to brown liquid with extremely tenacious odor. The oil is extremely useful as it has antiseptic, antispasmodic, antiviral, bactericidal, carminative, digestive properties and is also used in cosmetics and perfumes. Cubeb essential oil Piper cubeba is steam distilled from the fruit of this small bush which is native to Indonesia, particularly Java, cubeb came to Europe via India through Venetian trade with the Arabs, Javanese growers protected their monopoly of the trade by sterilizing the cubeb berries by scalding, thus ensuring that the vines were unable to be cultivated elsewhere. Its main use appears to have been in medicine, although its similarity to pepper made it a handy substitute. Cumin essential oil is extracted from Cuminum cyminum of the Apiaceae family and is also known as cummin and Roman caraway. The oil is widely used for its digestive properties and can also be used for relieveing headache, migraine and nervous exhaustion. 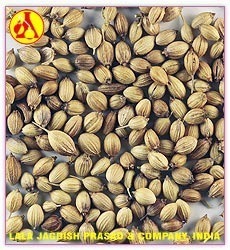 Cumin Seed Essential Oil has an overpowering aroma, somewhat lingering and are mostly used in very small quantities. Blending: Angelica, Caraway and Chamomile. Applications: Burners, Vaporizers, Food Ingredient etc. Blending: Frankincense, Clary Sage, Lavender, Cardamom, Marjoram, Geranium, Neroli, Black Pepper and Benzoin. Applications: Incense, Massage Oils, Body Sprays, Deodorants, Aftershave, Perfumes etc. 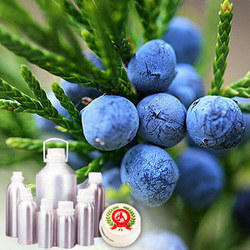 Davana Oil is one of the important essential oils. Essential oils obtained from higher plants are important raw materials used for the manufacture of perfumes, flavours and cosmetics. Even with considerable development in production of synthetic perfumery and flavouring chemicals, essential oils continue to be the important raw materials for these industries through out the world. The general realisation of health hazards associated with the synthetic material has led to increased use of natural raw materials, especially for high grade perfumes and flavours. Dill seed Essential Oil is a warm, spicy oil generally used to aid in digestion and to relieve flatulence and colic. The oil is extrcted from the seeds of plant from Umbelliferae (parsley) family, growing to about one metre high with inflorescence of yellow flowers. Aromatherapists credit Dill Seed with being an effective Stimulating, revitalizing, restoring, purifying, balancing, and cleansing agent. Blending: Bergamot, Coriander, Cypress, Geranium, Mandarin, Orange, Petitgrain and Rosemary. 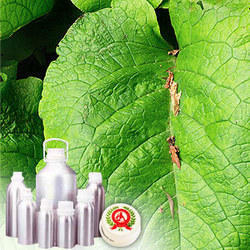 Applications: Massage oil, Antiseptic, Vaporizers etcc. Elemi Essential Oil is extracted by distillation of resins obtained from a tropical Tree. 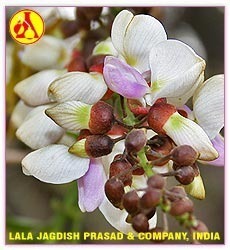 The aromatic oil is used for skin care, respiratory complaints and as a general stimulant. Elimi Essential Oil is a harmonizing oil useful in a deep calm meditation without drowsiness.Elemi Essential Oil is extracted by distillation of resins obtained from a tropical Tree. 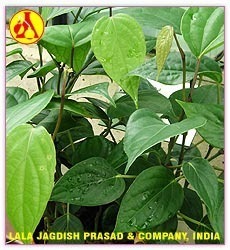 The aromatic oil is used for skin care, respiratory complaints and as a general stimulant. Elimi Essential Oil is a harmonizing oil useful in a deep calm meditation without drowsiness. Aroma: Fresh, citrusy, peppery and spicy. Blending: Cardamom, Frankincense, Galbanum, Geranium, Ginger, Lavender, Litsea Cubeba, Melissa, Orange, Rosewood. Applications: Vaporizers, Antiseptic, Tonic, lotions, Perfumes, Inscence etc. 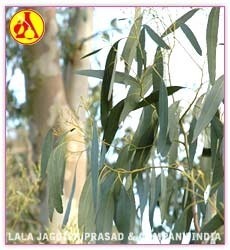 Eucalyptus oil with a fresh, balsamic and agreeable adour is mainly used for its therapeutic valves. It is proved to be a very strong antiseptic and antibacterial agent and is used as medicinal agent in the following cases : Cold, flu, coughs, bronchitis, catarrh, asthma. Rheumatic conditions, hypoglycemic, high blood pressure , diabetes, Abscesses, boils and burns. Main Constituents : Cineol, Pinene, Limonene, Cymene, Phellandrene, Terpinene, Aromadendrene.